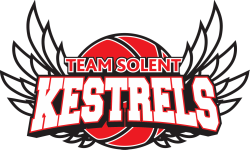 Team Solent Kestrels Basketball club is renowned as one of the most popular, friendly natured and family orientated clubs in the UK. A club with committed players, coaching staff, great volunteer support and a true family ethos through-out. Originally started by husband and wife, Jimmie and Bev Guymon, so their son Matt could play competitive local basketball alongside other talented youngsters, Solent Stars Juniors was formed in 1998. From a successful small family run club, predominantly for boys/men, the Stars later rebranded as Solent Kestrels junior programme with the sponsorship of Kestrel Guards security company. A formal merge with Solent University in 2015 to become ‘Team Solent Kestrels’ would follow. Solent University had a long-standing involvement with a men’s team in the national leagues for a number of seasons and also a thriving men’s & ladies BUCS programme with a junior girls programme in its infancy. 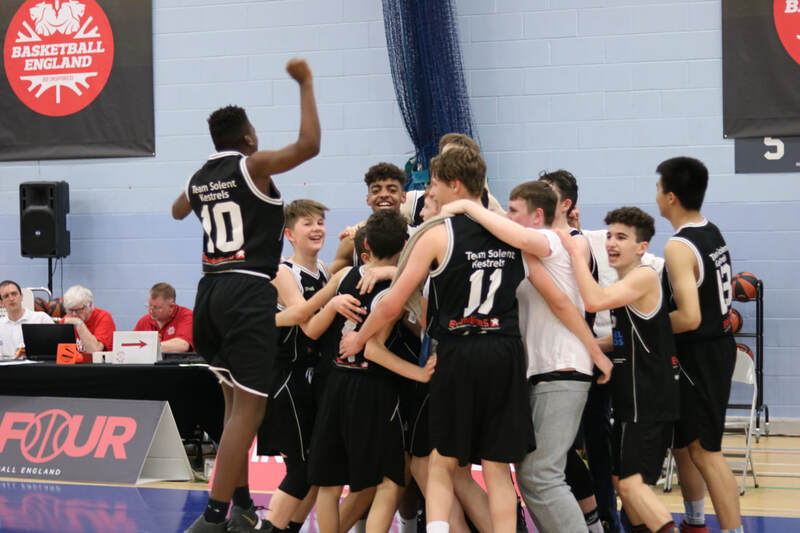 The collaboration of both parties and the development of basketball at both Itchen College & Solent Uni has seen the club grow to one of the largest clubs in the UK, now drawing in players not only from across the south coast and UK, but also Europe & the US. One of the clubs most important elements to it’s success structurally is it’s educational & player pathway. The club boasts close links with the DISE program for boys and girls at Itchen College with Men's 1stteam head coach, Matt Guymon, along with his assistant Jack O’Keeffe working full time with the college student athletes. Junior Girls Head Coach, Vicky Milner, heads up the girls club programme as well as being full time at Itchen running the WEABL programme. The pathway then continues with the progression to Solent University where the men’s programme is headed up by Sylvain Donneaud, also the clubs Div. 3 men’s coach, and CJ Lee, head coach of the women’s programme at Solent Uni and the Div. 1 women’s club team. This can all be shown in our player pathway segment on our website. Beyond this can include some of the best study/basketball programs/scholarships in Europe and the USA. Recent club members have secured places at colleges and universities including; Ashley Briggs, Harvey Barr, Adam Riabi, Rael Williams, Adam Wilkinson, Sam van Oostrum, Selby Hind-Wills, Ben Maranan, Will Neighbour, Jack Preston, Carl Josey among many others. Arguably the clubs biggest success story is former Portland Trailblazers forward, Joel Freeland. Joel was personally coached by Jimmie Guymon and started with the club as a junior before progressing to Gran Canaria where he played in the ACB before being drafted to the NBA. He went on to feature for Euroleague power house CSKA Moscow as well as ACB side Unicaja Malaga. The future is bright for all involved with the club and we’d be really keen to hear from you if you have any interest in what we’re doing or have any plans on getting involved in basketball, in the future. Please see the staffing structure and contact details on this site for further information.